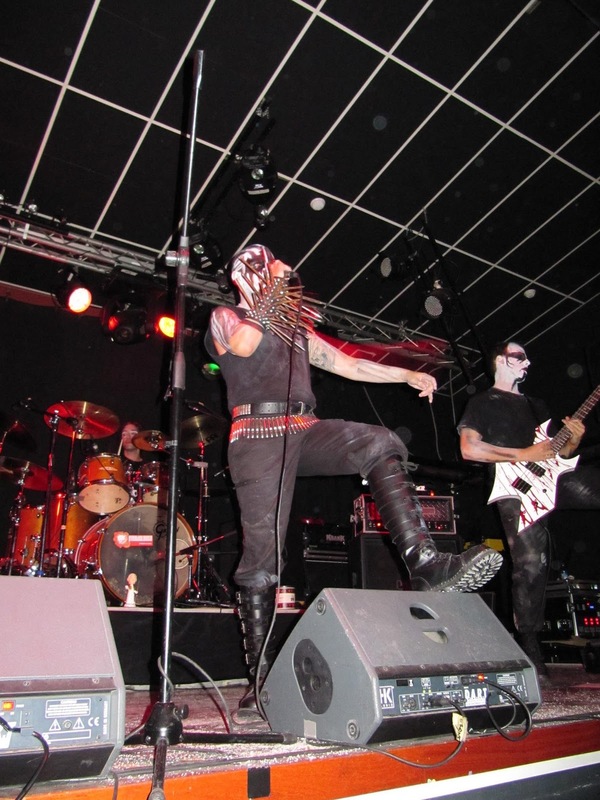 SERVI DIABOLI is probably the rawest Black Metal band to ever appear in Málaga (Southern Spain) and was originally formed by the Brazillian musician Armando Luiz back in the year 2011. The main subjects of their songs are occultism, vampirism, necromancy and death. After many years writing and composing on his own, Armando decided to gather several musicians to bring SERVI DIABOLI to stages and scenaries all over the world. In may 2011 the band started rehearsals, and in September 11th 2011they recorded 3 tracks in 6 hours: this Demo-Cd is for sale nowadays. Later that same year (in December) the group changed its line up after their first gig. SERVI DIABOLI has now a stable and professional formation with Armando on guitars and chorus, Fernando Puebla from Argentina at drums, P.I.N.O. López from Marbella playing bass and Einsam Vuk from Coín screaming on top of all that. In February 2012 the bad starts some sort of "little tour" all over Málaga, playing extreme metal in every single venue that they are allowed to go. This Black Metal band is already in the semi-finals for the Wacken Open Air Festival Contest and will be performing live in Barcelona or Madrid soon.